Launched this week! 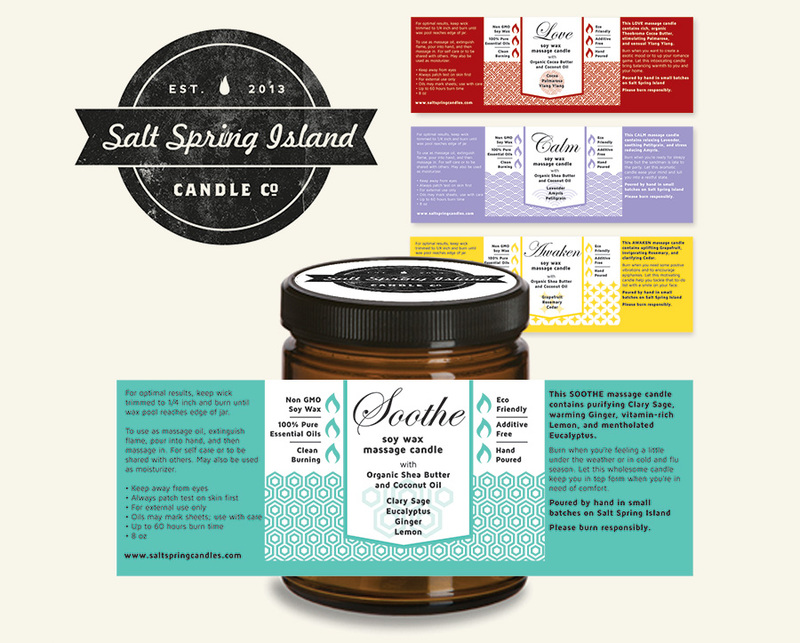 Saltspring Island Candle Co.’s asked me to design packaging for their new line, which I happily took on. The resulting look is chic and clean, with clear colour and pattern blocking to differentiate between the scent combinations.